Whether you are looking for the best way to improve your health through fitness or want to train for a competition, our mission is to match you with a personal trainer that can help you achieve your goals and conveniently incorporate healthy habits into your busy daily routine. Our professional personal trainers Dubai are located all throughout the city and surrounding area. Finding a personal trainer has never been easier! All you have to do is fill in a simple form with your location, goals and the place you want to train at and you will get a list of trainers in your area that meet your requirements. All in just under a minute and at no charge! Train at your home, in a gym in your area or outdoors. The choice is up to you. Just fill in the search form and we will make sure you get matched with an accredited and experienced professional that will help you achieve your goals and improve your health. A busy daily schedule or long working hours can leave you with almost no time to commute to a gym or go outdoors to workout. With a personal trainer that comes to your home, you will save time and be able to schedule the workouts at any time that suits you. Your trainer will create a personalized training routine that will help you achieve your goals and boost your metabolism. The most important benefit of training at home is the convenience. There is no need to pack a gym bag, choose a matching workout outfit, or buy the expensive equipment. All you have to do is dress comfortably and your personal trainer will be at your home on time with the expertise and support you need to improve your health and strength. Training at home allows you to save money and time. With a personal trainer that comes to your door, there is no need for an expensive gym membership or wasting any time on your way to a gym. Whether you like to exercise early in the morning or prefer to unwind after a long day at work, our matching system allows you to find the perfect trainer that will meet all of your requirements. One of the main reason some people choose to train at a gym rather than at home is an easy access to professional workout equipment. 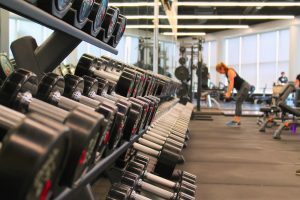 Gyms in Dubai are well-equipped with all of the tools you need in order to achieve your goals and improve your strength. A common stereotype is that exercising at a gym is only for the people that want to gain muscle or tone their body. Whether you want to lose weight or improve your strength, the variety of professional exercising equipment and the guidance of your personal trainer can help you reach your goals faster while working out in an environment that boosts your motivation. With a custom-made training routine and a personal trainer by your side, there is no need to worry about any injuries or lack of results. Exercising outdoors is the best choice for anyone who wants to enjoy nature and fresh air while improving their health and condition. Outdoor training allows you to change the scenery, implement new training routines and improve your immunity. Spending more time outdoors has many important benefits. Fresh air and natural light will increase your energy level and make the workouts much more fun by allowing you to break the training routine and implement new exercises daily. 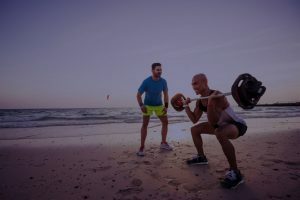 With a professional Dubai Personal Trainer, you will have the guidance and support you need to maximize the outdoor workouts and reach your training goals. 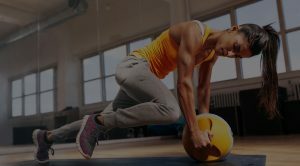 Dubai Personal Trainers online platform is here to provide you with a modern and quick solution to reach your potential clients online. All you have to do is set up a profile by filling in information on your experience and specialties. Your clients will be able to easily contact you by email or phone. Apply for a trial month for FREE! Finding a personal trainer has never been easier! All you have to do is fill out a simple form and you will get matched with trainers in your area that meet all your workout requirements. Whether you prefer to exercise at home or would rather visit a gym to blow off some steam, we offer you the chance to choose your own training environment, with the trainer of your choice. Whether you want a personalized fitness workout or are interested in training for a competition our Dubai Personal Trainers use their knowledge, experience, and expertise in order to set the right goals and mentor you on your journey of personal growth.